1. The warm weather entices me to kick-start my day with a delicious smoothie. Here is my berry blast recipe: 1 cup of almond milk, 1/2 cup of blackberries, 1/2 cup of blueberries, 2 tablespoons of flaxseed, 2 teaspoons of honey or a bit of stevia. 2. It's officially time to store away my winter boots and step into my pretty ballerinas. 3. 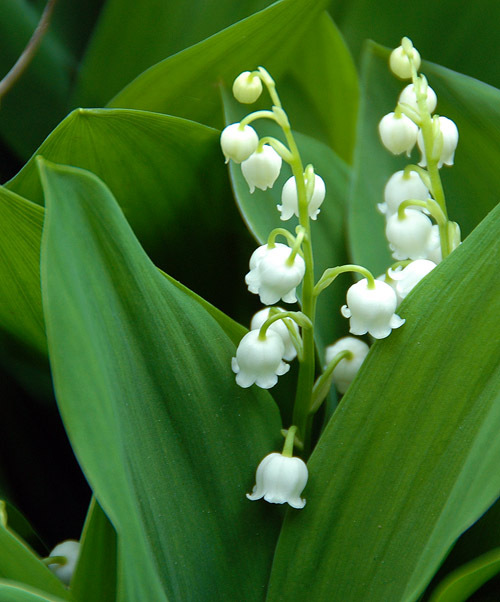 May 1st is Labor Day in France and it is also the day where the French exchange well-wishes and sprigs of lily-of-the-valley (or muguet) to their loved ones in honor of the coming season. Everywhere around Paris you can find people selling little bunches of muguet for one or two euros. And everywhere you walk you smell the delicate scent of this May bells. It is a heart-warming day. 4. It's time to wear flirty lip color. Feminine corals, tender peaches, fierce oranges, exotic tangerines, vibrant pinks and passionate reds, nothing is off-limits. 5. And it's lobster season!